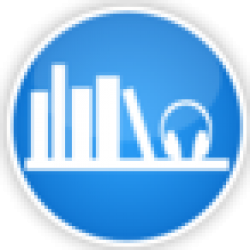 ABR's original Sub-Human audiobook review and many others can be found at Audiobook Reviewer. There is a familiarity one feels while listening to Sub Human, not in the sense that you may have heard the book before, but that you are in a friendly place. Simpson manages to take many complex technological ideas and simplify them to a state of “oh, yeah, that will certainly happen.” Why shouldn’t we fly or be able to hold our breath for hours, or walk through nuclear fallout unscathed. There are some questionable leaps in science that are simply fun and give the imagination a playground for exploration. Parallel universes moving at different rates; why not? Most listeners will enjoy the ride. If one could complain about anything, it would be that some of the ideas are not explored deeper; a kind of hunger for more, but that’s a positive thing that should keep us coming back for sequels. The characters are reasonably well developed, though unfortunately predictable at times, just short of two dimensional. No reason to spoil the plot here, just that, some characters just don’t have the depth one would hope for. Good enough to keep the ride rolling along, but not good enough to care too much when someone gets erased. The narration is by Ray Chase, who does an outstanding job. He is good at differentiating the character voices, and generally doesn’t get in the way of the story. He has a kind of affectation to his voice that sometimes took this listener out of the story. But that is more of a personal objection, and most listeners should be more than satisfied with his performance. He is clearly a pro. 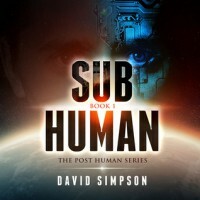 Sub Human is the first book in the Post Human Series. The plot wraps up completely and doesn’t leave the listener hanging at all. You will likely want to continue to the next book in the series, not to find out what happens next, but to hear about your favorite characters in a new situation altogether.